Clones, cryogenics, and mutated animals: Red Moon has it all. This novel chronicles the story of Lance Longfall, a prodigy who secretly succeeds in creating the world’s first human clone. Stephen Bropalski, Lance’s best friend, often serves as the narrator in this cautionary tale about the consequences of playing god. When Lance’s lover Miranda dies in a fire at his own house, Lance vows that he will get her back. In order to do this, he must not only clone his dead girlfriend, but be frozen cryogenically so that he can meet her when the clone is old enough to be “just like Miranda.” Not surprisingly, things don’t go as expected when Lance reawakens. Lance Longfall is a protagonist who is a little mysterious to the reader throughout the novel. The reader gets Stephen’s thoughts about Lance, and Lance never really gets to explain himself very well. Lance’s back story is intercut with the plot of the novel and fills the reader in on his hard life in a bad family. Lance is ambitious without being cruel, desperate without being hopeless and hubristic without being unaware of the dangerous game that he plays. 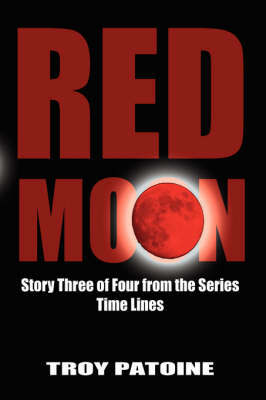 Red Moon is the kind of book in which you have to just shut your mind off and enjoy the ride. In the negative column, the author’s style is lacking in polish, making it hard to really dive into the tale being told. There are so many plot points that the tale starts to get simply unbelievable, but that doesn’t mean that it can’t be a little bit of fun. The dual narrative of the book is a plus (some sections are straight narration and others are the recollections of a supporting character called Stephen), as was the fact that there is no “scary villain” in opposition to Lance Longfall because over the course of the novel Lance proves himself to be his own best opponent.